January 22, 2012 is the date that my business legally came into existence. Which means that I am 5 years old today! I am amazed and happy and proud that I have lasted this long - I feel like I have passed some sort of threshold where now things will all come so much easier. I have a feeling that’s not true, but a girl can dream, OK. I thought about running some sort of promotional campaign, or a special deal on services, but the truth is this: January has been unusually busy, I am tired, and it is now the weekend. I didn’t want to let the occasion pass completely unremarked, so I thought a blog post might be appropriate. This is not going to be the usual post where I talk about the latest social media fad, or a great new app I discovered, or how to do something on your Facebook page after Facebook moved it...again. No, today I’m going to open up about what the past 5 years have been like for me. Good and bad. It’s something that I’ve thought of doing in the past but always got tripped up by the fear of pulling the curtain back too far. But in the past two weeks a number of things have popped up that were clearly sending me a message to tell me it was OK to open up. 5 years ago things were not good. I was depressed, I had anxiety. I was seeing therapists off and on. I was on antidepressants. I was off antidepressants (cold turkey withdrawal anyone??) I cried a lot. I was angry all the time. I had to wake up 2 hours early for work because I had to spend time trying to calm down before I stepped foot in the office. While I liked the work I was doing it existed in a toxic bubble that had been poisoning my soul for years. For reasons I won’t get into, instead of just getting another job I decided that I could start my own business. I did things pretty quickly and looking back on it, without a lot of prep. I do not recommend this method, but I had to get out. My family doctor was one pen stroke away from putting me on short term disability because I’d ticked waaaay too many boxes on the clinical depression checklist. Seeing that business registration was like the light at the end of the tunnel for me. Like many business owners, I was trying to be too many things. I was a certified software tester, which is a valuable skill with a fairly high price point, and so I marketed that skill to various companies in North America with limited success. I am proud to say that I helped to test some apps and websites that some of you probably use quite often. Unfortunately I can’t tell you which ones because I had to sign so many NDAs. In addition to software testing I was also (poorly) trying to market myself as a Virtual Assistant. I didn’t call it that, because most people I talked to didn’t even know what that was. I would tell people I offered various business services and would then list them. The first hints I had of what BLG Business would become is the perked ears and bright eyes when I mentioned Social Media Management to people I met. That seemed to be the service that made people sit up and pay attention, and so I started to whittle away many of my services to focus on social media. I took some very bad advice. Lesson: even if you’re not a business expert LISTEN TO YOUR GUT. Wondering what the bad advice was? Focus on the product or service you offer that generates the most income. Yeah, I know this is normally sound advice - that’s what fooled me. I spent months working on a business plan where BLG Business Solutions was a quality assurance and business analysis company - up to that point 80% of my income involved software so it seemed like a no brainer. But as I was doing all of the market research it became very clear that there weren’t a lot of successful solopreneur QA specialists. Many tech freelancers worked for larger companies (think Microsoft) who subcontracted them out on a job-by-job basis. And having a boss and someone else controlling my schedule was not what I wanted. It took a few more months, but I finally tossed my half-written QA business plan and made the decision to focus 100% on social media. It was fun at first: I got to bring back all of my psychology training about decision making, behaviour, and persuasion. I started to pick up a few clients. What wasn’t fun: many of my clients were startups and I vastly underestimated the amount of work & degree of difficulty it would be to manage the social media of businesses that didn’t have a clear marketing message or strategy. Imagine trying to design the dream home for someone who doesn’t know what size house they want or how many bedrooms they need or what their budget is. Yeah, it went that well. Needless to say, even though those clients were getting compliments on their increased social media activity, they weren’t seeing much increase in their bottom line. Some of these clients renewed their contracts when they came up - many did not. Half of the time I blamed the client for not having a clear message in mind. Half of the time time I blamed myself for not being able to figure it out for them. To be fair, it took me a while to clue in that these weren’t my ideal clients. Finally an amazing client came along that opened my eyes to the kinds of people I really wanted to work with. It was a curse and a blessing. Now I knew what I wanted - but that meant I had to figure out how to get more of these amazing people! The answer came without me even realizing it at first: I started to get approached about doing webinars and presentations and group workshops. The first of these went so well that it was like a giant lightbulb went off over my head - teaching people to do their own social media was amazing. 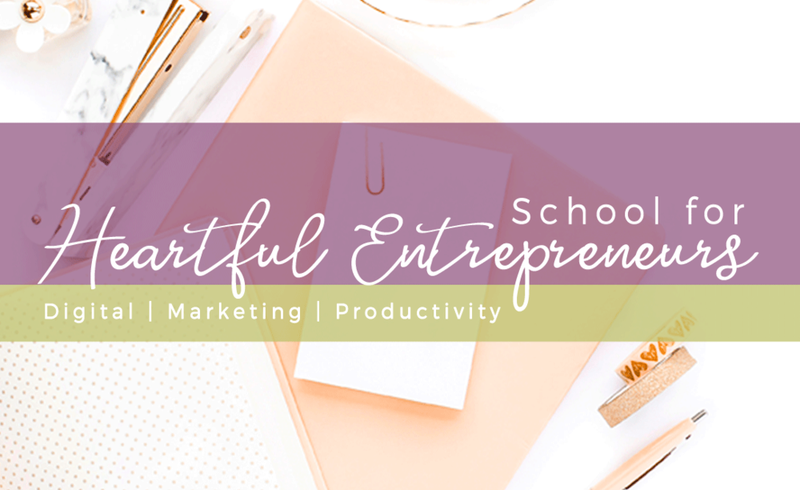 I walked out of those sessions with a great deal of satisfaction and a plan forming in my head: I was going to shift from doing social media to teaching social media. In 2015 I was doing monthly social media webinars. Despite a few technical glitches in the first couple of webinars, they started to gain momentum. Each one had a higher turnout than the last, and many of the attendees were signing up month after month. I wasn’t selling, just list building and generating trust and getting my name out there. It was working. By the summer I could go to networking events and people would go, "Oh I’ve heard of you!". I started to feel pretty great about what I was doing. As my business became more well known and I was asked to do more and more workshops and presentations the inevitable happened: you can’t hit it out of the park every time. I had a training session where there was such a massive miscommunication about what they wanted and what I had prepared that I actually felt ashamed when I walked out of their office. To this day they never told me it was crap, but the looks on some faces and the vibe in the room were not especially enthusiastic. The shame still occasionally spirals into anxiety because I live in a small city and a bad word of mouth review gets around pretty fast. I had another client that actually did give me negative feedback in an email after an all day workshop. I could tell she was struggling in the workshop - everyone else around the table was talking about how great it was and getting a lot of work done but she couldn’t seem to wrap her mind around what we were doing. Every question she asked I couldn’t seem to get out the right words. These two clients? I would actually physically avoid them if we were in the same room after that. Like I said, I live in a small city and small business owners often attend the same networking events. Not my proudest moments. I’m happy to say that I can now talk to these people - they seem happy to see me as if nothing ever went wrong. As you can imagine, feeling like a fake while trying to get people to buy your product isn’t the greatest combination. And I can prove it, because even though I’d thrown down a lot of money to take sales training from some extremely successful people (who were doing exactly what I wanted to be doing), when those next few webinars were over I’d generated exactly $0 in sales. I took a few months off to really revise what I was selling. I was going to make the most amazing online course. 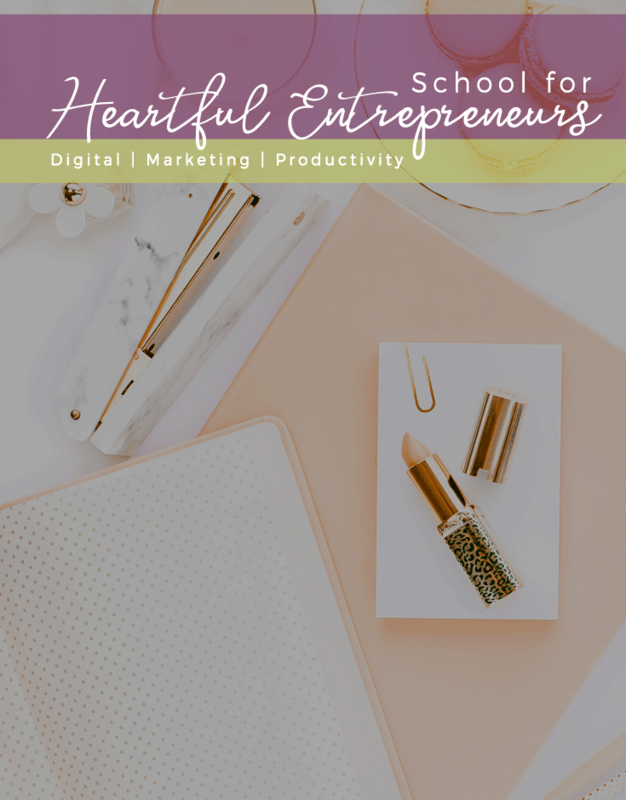 I’d spent more money on software and hardware, I’d hired a VA to help me create the content and deliver the webinars, and I had not asked any of my social media management clients to renew - I was all in. By the time the first webinar date rolled around in 2016 I hadn’t even started recording the videos for my course. So I pitched a waitlist, and was happy with the number of people who were interested. I decided to run a free beta test to get feedback as I went because I wanted everything to be perfect. The beta test uncovered a lot of problems. I felt discouraged, but determined to fix things and push through - this required me to re-record and re-edit all of the videos. By the time the second webinar date rolled around I had only finished re-recording the videos for the first module, so I decided to deliver it 1 module at a time over 6 weeks, which would give me time to finish. I had a single customer from that second webinar. By the end of the first week I hated everything about the course I was creating. I was exhausted. I had zero desire to deliver the course so I refunded my lone customer and went into hiding for a little bit. Eventually I re-emerged, ready to try again. I decided that the problem was the course topic - that I needed to pick something that I was really passionate about and something that already had a proven track record. I had a workshop that I’d delivered twice in person to really great reviews, so I took that content and started to reformat it for an online course. I did tons of research, target market interviews, and spent a lot of time writing and structuring the course content. I was convinced that the more work I did up front, the easier it would be to create the slides and videos and worksheets. I was wrong. This time, I hadn’t even started making the slides and videos before I was exhausted and hated my course. Money was starting to get tight - I’d been turning down social media management clients because I needed the extra time to work on my course. Something was really wrong. Why was I so tired? Where was my motivation? My big WHY that had been motivating me for the last 6 months no longer appealed to me. What was wrong with me? Was I the laziest entrepreneur to ever exist? Should I just throw in the towel and get a job? Was I a total fraud? 99% of the time the answer to those questions was a resounding YES. Maybe something was wrong with me physically, and maybe that was affecting my business and motivation. So despite money continuing to be tight, I kept turning down clients so that I could focus on my health. I had a couple big speaking opportunities in late 2016 that fell through, but it was probably for the best (at least that’s what I’ll keep telling myself!). For a few months it was all doctors, all the time: family doctor, naturopath, neurologist, allergist, dermatologist, ultrasounds, blood work, etc. etc. I have a couple of diagnoses and am still working on others. And now, as we kick off 2017 I can say that my energy levels are up and I’m (mostly) sleeping well, which means that when I wake up in the morning I’m happy and eager to get to work! I no longer feel like a fraud! And it is an amazing feeling to wake up on my 5th business anniversary and feel hopeful about the next five years.